If you are someone who likes to have a pre-dinner alcoholic beverage, I have some bad news. Drinking alcohol just before eating a meal is associated with an increase in food consumption when compared to drinking non-alcoholic beverages. This phenomenon, known as the “apéritif effect”, has been used by restauranteurs for many years. Give patrons a drink before dinner and they will eat more. Studies have shown that drinking alcohol immediately before a meal can increase food consumption by 9 to 30%. If, for example, your ordinary dinner consumption is around 500 calories, an additional 30% equates to an extra 150 calories. 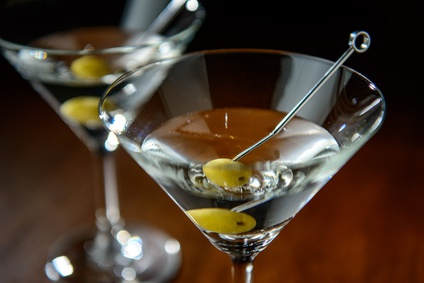 If you had an aperitif every night, that could result in an extra 1,050 calories a week. In three weeks that could lead to an additional 1 lb of body weight (on the basis that 3,500 calories is equivalent to about 1 lb of fat). So you can see how a nightly apéritif habit could result in some serious weight gain over time, not to mention the additional calories from the alcohol itself. So does this mean you should quit your apéritif habit entirely? No. But as with everything, moderation is key. Perhaps you could limit your pre-dinner cocktail habit to Friday or Saturday night. That way, if it does cause you to eat a little more, the overall caloric increase will not have too great an effect on your health.